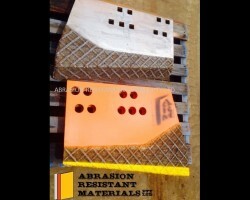 The ARM factory produces a range of Tungsten Carbide hardfaced dozer edges. 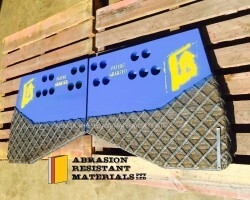 These are patented wear part options that are guaranteed to deliver 10,000 hours of service (with new ARM corner tips at the turn) in coal mines. 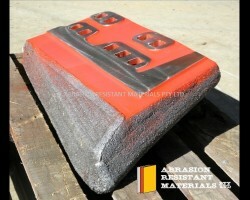 In iron ore mines we use a different ARM hardfacing option – but this will still reach 4000 hours per side. The best results delivered so far – is 12,000 hours to the turn on a D11. 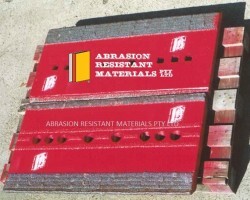 These ARM hardfaced edges are sharp from day one – and impact loads will not bother them. 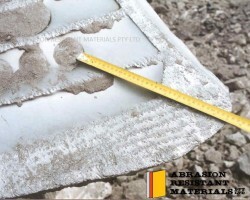 ARM Premium Edges at Drayton Coal after 5500 hours - the edges have not yet been turned ..
Patented ARM D11 edges - sharp from new .. 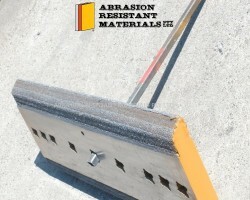 ARM patented D11 recessed cutting edges .. 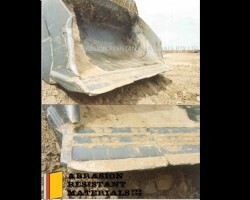 ARM D11R Carrydozer edges - Patents Granted .. ARM patented D11 corner tip (Example 1) .. 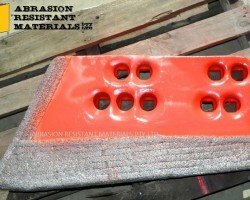 ARM patented D11 corner tip (Example 2) .. 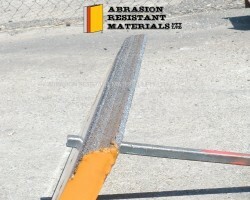 ARM D11CD - LH corner tip - extra wide ..
New ARM extra heavy duty (D11 Carrydozer corner tip) made from harder steel with an additional 50.. 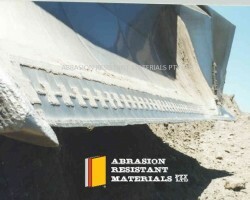 ARM Extra Heavy Duty D11 Carry Dozer corner tips - close up. .. 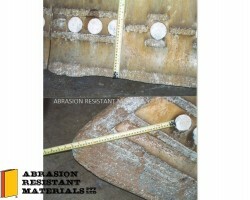 ARM Extra Heavy Duty D11 Carry Dozer corner tips (75mm thick) and over 200 mm of wear material .. 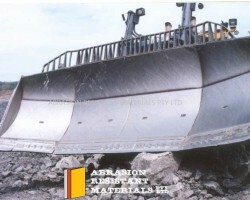 ARM Premium Edges on a D11 at Drayton Coal after 4000 hours ..
Patented ARM Carrydozer edges after 5020 hours .. 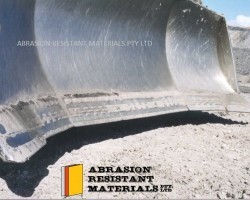 ARM left side corner tip after 5500 hours - Drayton Coal ..
D11 (unit 1430) with ARM corner tip and edges after 3500 hours at Callide Mine .. 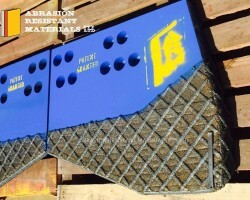 ARM hardfaced Komatsu 575 Superdozer blade - here we increased the life by 300% ..